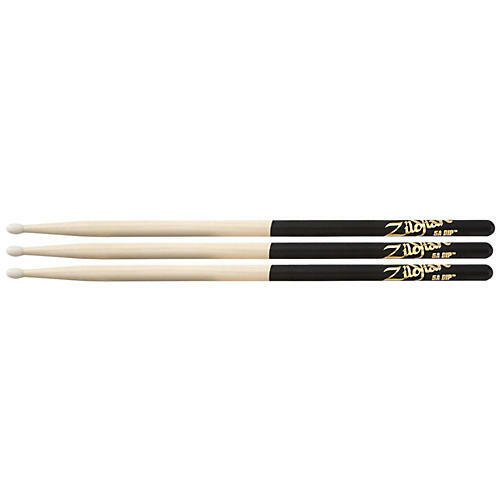 A 3-pack of Zildjian drum sticks with patented DIP grip coating. Zildjian DIP material is a special coating that is applied to the grip area of the stick to provide a comfortable, slightly tacky gripping surface. This allows drummers to loosen their grip and relax their hands more, particularly in sweaty playing situations. The DIP coating also offers the drummer or percussionist an alternative striking surface. Available in many sizes with wood or nylon tips.